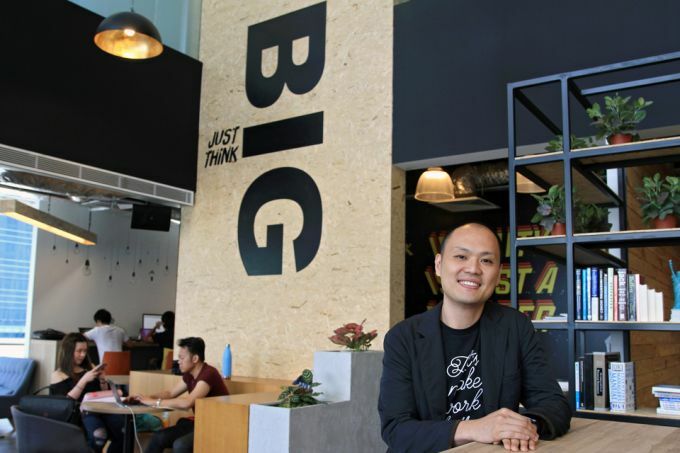 CO-WORKING space operator JustCo plans to set up 100 centres by 2020 in Asia and is looking to acquire firms that complement its operations, the company's chief executive officer Kong Wan Sing said. "We are tapping into companies' need for flexibility," he told Reuters in an interview in Bangkok on Thursday. JustCo opened its first co-working centre outside Singapore in Thailand this year with plans to add offices in Jakarta and Shanghai by year-end, towards a goal of 50 centres in Asia by 2019, each with minimum space of 3,000 square metres, he said. Corporations make up 60-70 per cent of clients, Mr Kong said, unlike other operators who offer workspace to entrepreneurs, freelancers and companies. Demand for co-working spaces in the world's largest cities has surged, drawing billions of dollars in capital into the sector. Last year, New York-based WeWork acquired Singapore's Spacemob and planned to invest US$500 million in South-east Asia and South Korea. Mr Kong, who founded JustCo in 2015, said that curating a big community of members through its large spaces will help it beat competitors. JustCo will launch an application this year with plans for an e-payment platform later, he said. In May, Frasers Property and Singapore's sovereign wealth fund GIC agreed on a US$177 million partnership with JustCo. Frasers Property is owned by Thai billionaire Charoen Sirivadhanabhakdi. Part of the capital will be used for expansion and also to "beef up our IT and design capabilities", Mr Kong said. "We are looking for ideal acquisition targets . . . (with) more applications, tech and design that can help us." In addition to capital, JustCo would have "immediate access" to GIC and Frasers' properties in Asia, helping it to quickly expand, he added. Another source of revenue is management fees. JustCo announced earlier this week that it would manage half of Verizon Communication's 20,000 square feet (1,858 sq m) head office in Singapore. Last year, Thai developer Sansiri took a 6.09 per cent stake in JustCo in Series B funding for US$12 million, valuing the company at US$200 million. Mr Kong declined to comment on the firm's valuation after the agreement with GIC and Frasers Property.